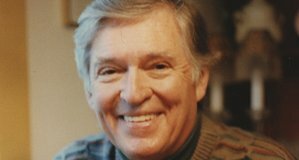 John Morris, a composer who had a long list of movie, theater and television credits but was best known for a long association with Mel Brooks that earned him Academy Award nominations for “Blazing Saddles” and “The Elephant Man,” died on Thursday at his home in Red Hook, N.Y. He was 91. His daughter, Bronwen Morris, said the cause was a respiratory infection. Read the whole article by New York Times . 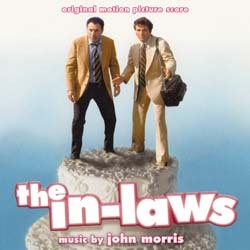 La-La Land Records and Warner Bros. present the world premiere release of John Morris’ (BLAZING SADDLES, YOUNG FRANKENSTEIN, CLUE) original motion picture score to the 1979 classic comedy THE IN-LAWS, starring Peter Falk, Alan Arkin and Richard Libertini, and directed by Arthur Hiller. Acclaimed composer John Morris finds the perfect pitch with his rousing and delightful orchestral score -- supporting story, character and action with verve, while expertly enhancing, but never stepping on, all the big laughs. Infectious themes abound – the main title being one for the ages! 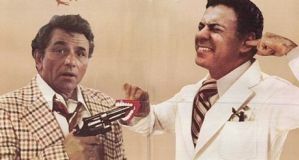 All these years later, the IN-LAWS still holds up as one of the great American comedies – and now finally, Morris’ wonderful score gets its due! Produced by Matt Verboys and Neil S. Bulk and mastered by James Nelson, this special release, limited to 1500 Units, features exclusive, in-depth liner notes by writer Randall D. Larson and smile-ready art direction by David C. Fein. Soundtrack album is available now from La-La Land Records as well as all specialized retailers. without prior consent of proper owners or all materials included.